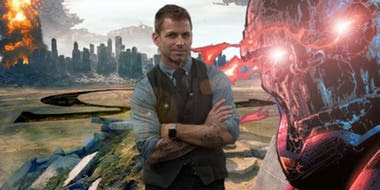 With many things currently in flux in the DCEU, a new piece of news hit the web today that points to where director Zack Snyder would have been heading with his Justice League 2. Considering the amount of rumors that we've been hearing over the past couple weeks about Snyder's departure from Justice League, we try to take everything with a grain of salt, including the on again off again status of Affleck's Batman. This deleted scene from this summer's Justice League had initially been planned as a tease for part two of the superhero team-up that would have brought Darkseid into the universe. 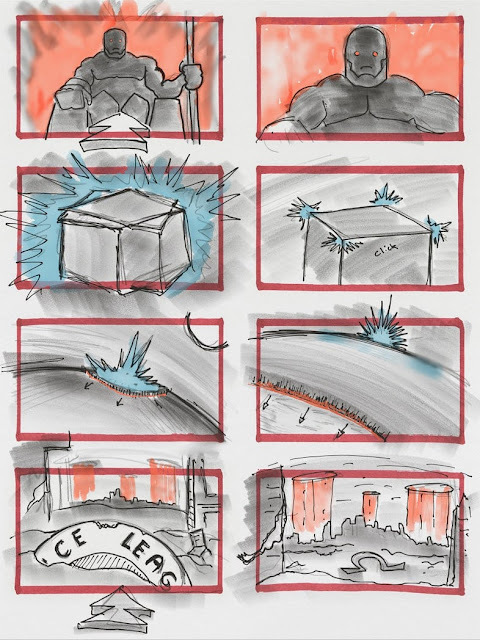 Numerous sites including ScreenRant are reporting today that Snyder's next film would have made Darkseid the central big bad for JL2. Due to the amount of toiling that was done with the feature, we're not sure where this scene would have taken place, but it's interesting to see what we missed. Also note the Hall of Justice. Barring all speculation and internet talk, Snyder's future with DC is still not quite clear at the moment and so is the future of the next Justice League motion picture.